Walter Louis Cohen was a local African-American Republican politician and businessman. He was born a free man of color in New Orleans and was an active member of Reconstruction politics. He was one of the few African American to hold appointed office in the 20th century. He was named customs inspector by U.S. President William McKinley and then appointed register of the federal land office by President Theodore Roosevelt. 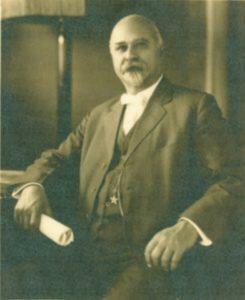 Cohen was the founder and president of the People’s Life Insurance Company. Our school is named in his honor. Walter L. Cohen High School opened its doors in the Fall of 1949 and became the 5th public secondary school available to students of color in New Orleans. Cohen’s first graduation was held in 1953.